I was perusing my Irish Soda Bread recipe while I ought to have been thinking about a blog post, but then realized I can kill two birds with one stone by sharing the recipe. (Where does that dreadful saying come from? I couldn’t kill one bird with anything!) This is a post from 2012. I hope you won’t mind the repetition. Happy St. Patrick’s Day to one and all! This is the day to be celebrating all things Irish, sharing shenanigans and wearing green. At least that’s how North Americans seem to celebrate, along with perhaps raising a pint of ale or Guinness. We make more of St. Patrick’s Day here than they do in Ireland. 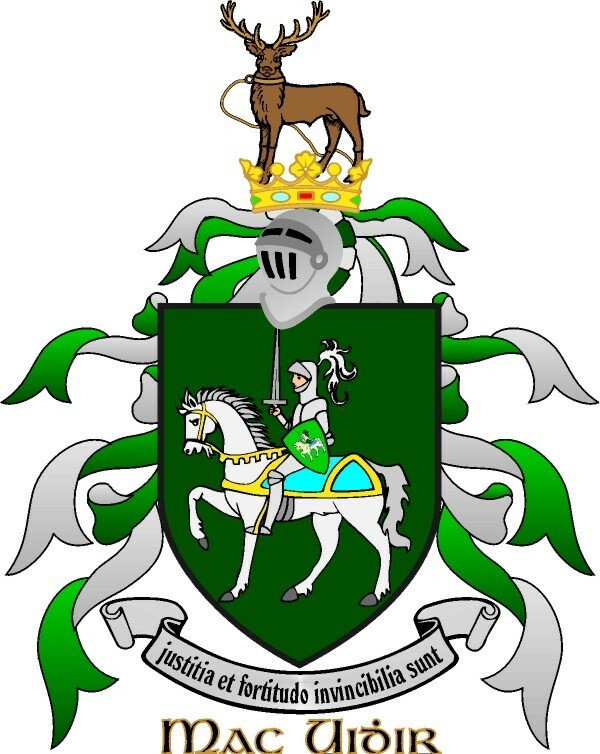 Since I can’t ignore my Irish roots (I’m a McGuire — from the 13th century Irish MagUidhir in County Fermanagh), I always have to do something special to mark the occasion. Most often it’s just the wearing of a bit o’ green, but my family will vouch for my tendency to doctor normally un-green foods until they turn a shamrock shade – for instance, green porridge for breakfast, or perhaps cereal with green milk, maybe a lunchtime sandwich with green cream cheese filling, or green Jello for dessert. I’m told there are two kinds of soda bread… a cake type that is normally kneaded and baked in an oven, and a farl type that is rolled out into a circle and cut crosswise into four equal quarters to bake on a griddle. While the farl type is apparently preferred more in the north of Ireland where my family originated, and the cake type in the south, my recipe happens to be the cake kind. It’s a little sweeter than the traditional loaf, too, but very tasty. I’ll share it as my St. Paddy’s Day gift to you. Sift dry ingredients together and cut in butter. Blend in buttermilk, egg and soda to make a dough that can be kneaded. Turn onto floured board and knead gently until smooth. Shape into ball, and place in greased 2-qt. casserole. Brush top with egg yolk or cream and slash a deep “+” on it. Bake @ 350oF oven until done (about 45-60 minutes, or until bottom crust sounds hollow when tapped). Wrap loaf in tea towel and cool 1 hour before cutting. This entry was posted in Family, Food, St. Patrick's Day and tagged Irish Soda Bread.